If you are looking for an air conditioner for your RV but are unsure of which to choose from the numerous options available on the market, this article will help. It can be overwhelming to figure out which air conditioners are best in terms of quality and what type would best be most suitable for your personal needs. In this buying guide, we aim to make your decision a little easier. Our main goal is to minimize the risk of purchasing a poor quality and/or overly priced air conditioning unit. 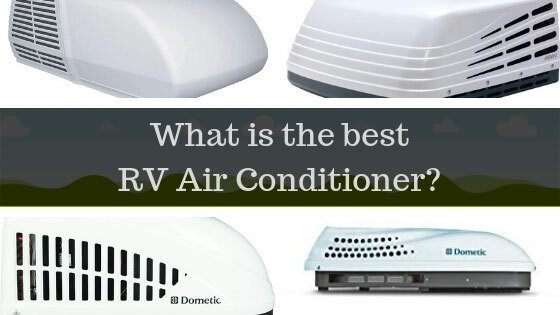 Let us begin by sharing our list of 5 best RV air conditioners on the market. We will go into further detail about each of these particular units later in the article. 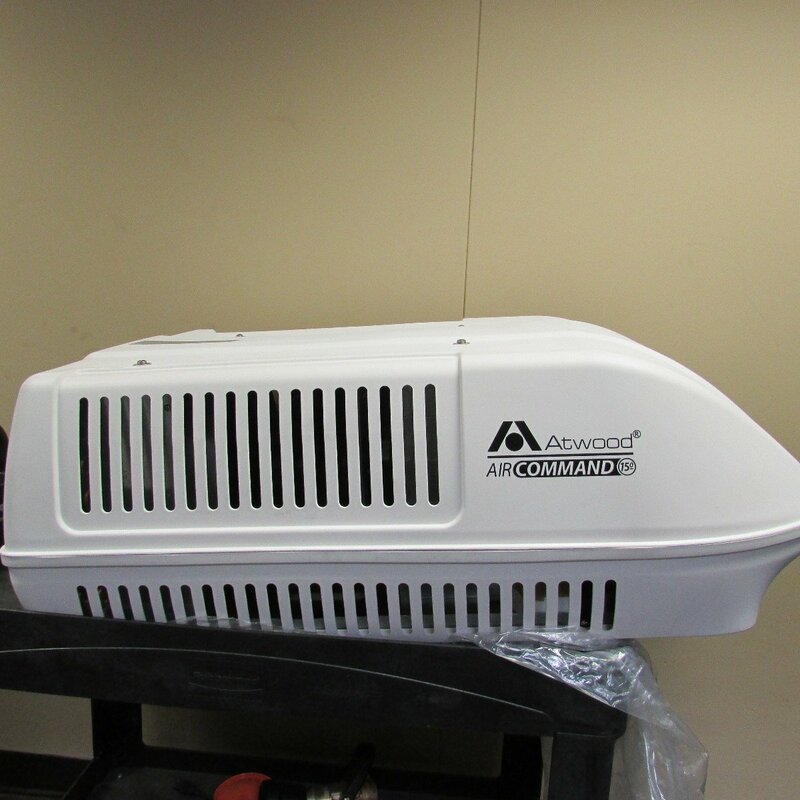 For starters, here are some things you will need to know before shopping for an A/C unit for your recreational vehicle. How big is your recreational vehicle? – This is primarily important because of vehicle length and height considerations. You will need an air conditioning unit that is the right fit for your RV; therefore its size is a good indicator of the A/C unit sizes that you should be shopping for. The size of your recreational vehicle will also determine whether or not you will need more than one air conditioning unit to keep it cool. How many people normally occupy space in your RV? – When shopping for an air conditioning unit for a considerably confined space, like an RV, the amount of people occupying the space definitely matters. The more people that occupy the space, the more energy will be needed to maintain cooler levels throughout the vehicle. The human body produces body heat that is roughly equivalent to the energy that is given off by a 100 watt light bulb. This amounts to approximately 250 to 400 British Thermal Units, commonly referred to as BTU’s. We will further discuss British thermal units and their relevance when it comes to RV air conditioners shortly. In what climates do you mainly operate or inhabit your recreational vehicle? – This will determine how often you use the air conditioning unit. It is important to have this in mind because frequency of use will contribute to how much energy you will more than likely end up using. Does your recreational vehicle have any pipes, built-in air vents, or other determinants that will affect the type of A/C unit you will need? The power or speed at which an air conditioner has the ability to cool the air of a recreational vehicle is measured in British thermal units. Most of the standard A/C unit models power at 13,500 BTU’s per hour. If you prefer your RV to remain cool at all times and plan to run the air conditioning unit somewhat frequently, it is better to shop for a unit that operates somewhere around 13,500 BTU’s. If your recreational vehicle is exceptionally large, you will more than likely need to purchase an air conditioning unit that has the capacity to run at more than 18,000 British thermal units per hour in order to keep it cool. Here are two of the main qualities that a first-rate RV air conditioner should have. Efficiency- Energy efficiency is one of the key attributes that a good RV air conditioning unit should possess since it will save you money in the long run. In addition, the conservation of energy subsequently helps to protect the environment. Low Noise Level- Noise levels that are disturbingly high are often a main complaint that consumers have about the air conditioning units that they purchase. It is best to search for an A/C unit that functions as quietly as possible in order to avoid sleep disruption and to minimize the possibility of disturbing your neighbors. It is also important to know that different RV air conditioning units can require unique and specific up-keep. Be sure to know most, if not all, details about the A/C units’ replacement filters and capacitors, which work with the compressor, the outside fan, and the blower motor, before making a purchase. These will remain important long after you have purchased the unit since they permit it to reach and maintain its maximum potential. Furthermore, you will minimize the chances of having to spend money on repair costs if you know where to get the appropriate replacement filters and when and how to properly replace them. These are especially popular because they do not take up any floor space, nor do they hinder access to your windows. They are created low enough to avoid any height clearance issues when traveling. Moreover, rooftop air conditioners are considered very reliable as they have a high cooling capacity. The disadvantage of having a rooftop air conditioning unit is that it sometimes requires more maintenance than a portable unit. Window air conditioning units tend to offer a high cooling capacity within a small sized package. The main advantage is that they do not take up indoor space since they are installed outside of the recreational vehicle’s window. There are window air conditioning units on the market that are as small as 14 inches and open horizontally as opposed to vertically. Furthermore, these types of units are particularly easy to maintain since all of the essential cooling components, such as vents and compressors, are stored in one box. Portable indoor A/C units can be pretty powerful and they usually come with additional benefits, such as dehumidifiers and cooling fans. Moreover, they are considerably less expensive and do not require a complicated installation like many rooftop air conditioning units do. The main disadvantage of having a portable indoor A/C unit is that it takes up floor space, which is already limited in recreational vehicles. Commonly referred to as “swamp coolers” because of their distinctive moist air ventilation, these portable A/C units are smaller in size and use evaporated water that has been released into dry air in order to cool the spaces they occupy. The main advantage of this type of unit is that it does not consume a lot of energy since it is solely the vent that needs to be powered. Additionally, vent free units do not take up a lot of space overall. A major disadvantage of vent free portable air conditioning units is that they can only be used in climates with rather dry heat. The A/C units’ evaporation process must blend with a dry atmosphere in order to produce cool air. Environments that consist of humid weather counter the cooling effect of these types of units, thus nullifying it. Another disadvantage of having a vent free unit is that you will need to improvise a hose at times when the water has not evaporated completely. The problem with improvising a hose is that this can cause water to leak out of the air conditioner. Does the size of the air conditioning unit matter? - Yes it does. Generally, smaller units do not carry as much power as larger ones. Alternatively, the disadvantage of a larger unit is that it may lack fuel efficiency, thus costing you more money when it is in use. Does the brand of the A/C unit make a difference? – The answer to this is two-fold. In terms of repairs, going with a well known brand may be better since that will make it easier to find replacement parts. Outside of this factor, there is no real advantage to purchasing a popular brand over a more generic one. Do I need to have a generator for an RV air conditioner? – The short answer is no. Although it is possible to run an A/C unit off of solar power, it is not a sustainable option especially if you are not equipped with first-rate solar power technology. Hence why we recommend that you invest in a generator. Be sure that the generator you choose provides sufficient power to operate your air conditioning unit effectively. 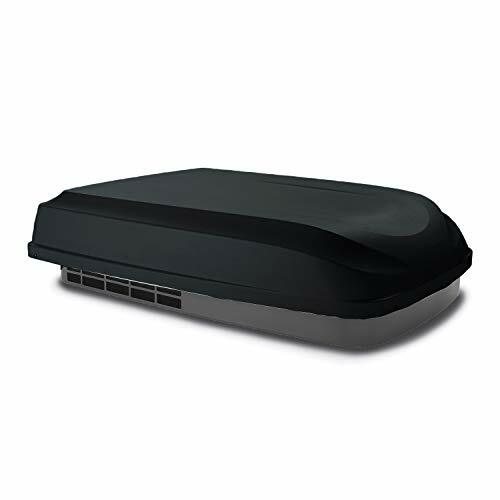 Here is our list of top recreational vehicle air conditioners currently on the market. This list consists of both rooftop and portable indoor models in order to supply you with a variety of options. One of the biggest issues with RV air conditioners is space. That's why it's nice to have units like this one from Dometic, which does a lot with a relatively small profile. The small size makes it easier to install and keep in an RV of any size, but the power makes it just as useful as some of the larger air conditioners on the market. It's a best-of-both-worlds solution for those who need a little extra cooling power while they're out on the road but who don't want to haul around a bulky machine. This unit is also surprisingly easy on the environment. Not only does its small size mean that it tends to have a lesser degree of power consumption, but the unit has been engineered to be much more efficient than most of its counterparts. This means that it's going to cool faster while using up fewer resources, a perfect fit for the type of driver who doesn't want to make too much of an impact when he or she is trying to cool down. This unit is all about efficiency, which ultimately helps out everyone. The high level of engineering for this device extends to durability. It's very hard to beat this unit up and it keeps working through almost anything you can think to put it through. This makes the air conditioner from Dometic one of the best buys that you're going to find on the market, whether you're going to use it when you're taking it easy or when you're going into the wilderness. If you're installing an air conditioning system in your RV, you always want to make sure that you have an adequate amount of power. Not only does a machine that falls behind on the power front tend to be less efficient in cooling, but it also uses up more power while making everyone in your RV unhappy. One product that seems to put power at the forefront is this unit from Airxcel, which promises a significant amount of cooling power for any ducted system. Airxcel's big selling point with this unit is that it uses one of the biggest fan motors you'll find in an RV. This allows the unit to cool off an incredible amount of air in a relatively short period of time, increasing your comfort while still allowing you to rest easy knowing that your air conditioning unit isn't being overtaxed. In addition to the higher power level, the unit also uses a streamlined shape that helps air to move more efficiently, helping to move the cool air out farther with less effort. The air conditioner itself is also very durable. The copper tubing means that this is one air conditioner that's going to outlast most of the competition, even though you'll probably never see evidence of all the engineering prowess that went into creating this unit. Consider this to be one of the best air conditioners for big cooling jobs. The Penguin II from Dometic is one of the few air conditioners on the market that seems to put aesthetics at the top of its design choices. This is a good look, a low-profile air conditioner that fits very well atop almost any RV, one that won't stand out when you're on the road. This is great for more than just looks, though, as the low-profile design helps to reduce wind resistance and won't cause as much of a drag on your mileage as many other air condioners. There's more to this air conditioner than how it looks, though. It's actually very well engineered, capable of cooling off a fair amount of space with relatively little effort. It's not very noisy and it doesn't seem to struggle with even larger RVs, helping you to get the most out of your purchase without some of the more common drawbacks that come with this type of air conditioner. While it is not the most powerful air conditioning unit you can buy, it still manages to cool off the interior of an RV fast enough that the average driver won't be able to tell the difference. It should also be noted that this is a relatively easy air conditioner to install. You'll have to make a few other purchases to install the unit, but the actual amount of work you have to put in is negligible. Even complete novices have reported that they can get this unit on their RVs and working with relatively little effort. Premium can mean many different things, depending on the product at which you are looking. If you're looking at RV air conditioners, premium means that the product is going to work well and that you'll have a great deal of control over exactly how well it works. If you're looking for a good example of a premium product, you should take a look at the Advent ACM150. Not only does it have a significant amount of power behind it, but it's one air conditioner that can really conform to your own personal patterns of use. One of the first things that you'll be able to see when you look at this air conditioner is that it was built to solve many of the common RV air conditioner problems. It's water-tight, constructed of metal, and can stand up to the bumps and shocks that come with life on the road. It is able to cool of a significant amount of space quickly, with the option to run at multiple speeds so that every driver can get exactly the performance he or she wants. There are also some nice smaller features with this unit that you don't generally see. The air conditioner comes with an optional plug-in strip, for example, and it's capable of being installed in a standard vent opening. This is precisely the type of air conditioner you might need if you're looking for something that will do the job every time. Sometimes power is the most important thing in an RV air conditioning unit. While the bells and whistles are nice, some people just need to be able to cool down at the end of a long day. The Atwood 15026 is a perfect example of an air conditioner that puts power first - it's not the prettiest or the smallest unit out there, but it can cool down more space and do so faster than virtually any other air conditioner you are likely to find. The big selling point here is that the unit has a cooling capacity of 18,000 BTUs. This is significantly bigger than average and far larger than what you'd expect from the ninety-pound frame. While it doesn't quite hit the 18,000 BTU mark most of the time, it gets much closer than you might think. 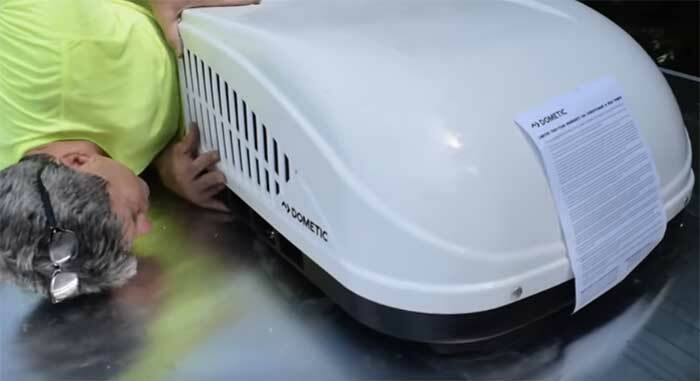 To put things in perspective, this is an air conditioner that's powerful enough to drop the interior temperature of an RV from 107 degrees down to under eighty degrees. As you might expect, this is a well-engineered machine. It has two fans and fantastic air-flow, but it's even more impressive because of the size. Ninety pounds seems far too small for the unit to do what it does, but the numbers don't lie. If you're looking for an air conditioner that can deal with the hottest temperatures on the planet, this is the machine at which you should look. 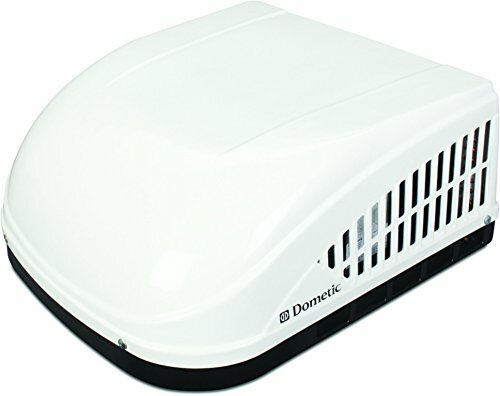 Our number one choice of top recreational vehicle air conditioning units is the Dometic Brisk II. 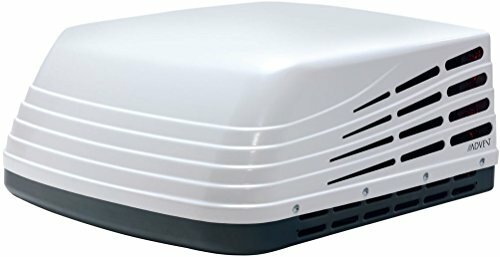 Out of the other four models on our list, the attributes, such as value received, efficiency, and price of this A/C unit, surpass the others in comparison. Now that we have covered the basics and the compelexities of recreational vehicle A/C units, you have the essential information needed to make an informed choice and purchase. Shopping for an RV air conditioner no longer has to be a daunting process now that you are aware of the key attributes that every first-rate unit should have and the important things there are to know about recreational vehicle A/C units. Adding to that, it is important to remember than an efficient and well-designed unit does not have to be super expensive. 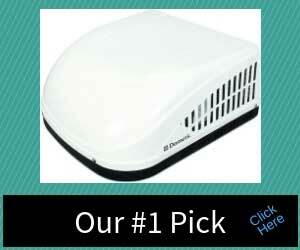 There are quite a lot of less expensive, yet practical RV air conditioning units on the market.